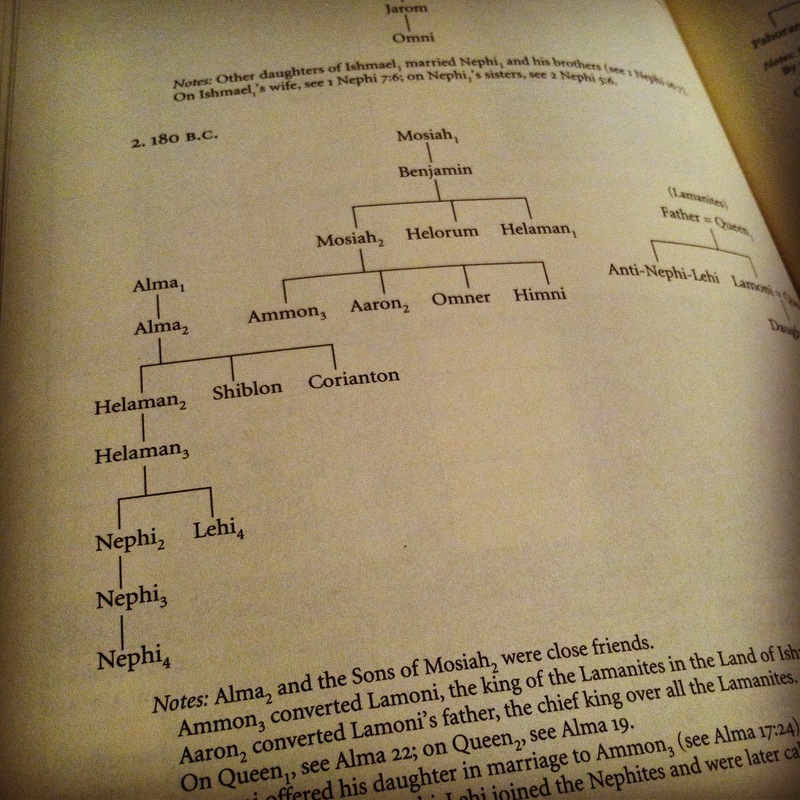 So I’m in love with my new “Reader’s Edition” of the Book of Mormon and I’ll explain why here in this review. First of all, I understand the value of the “official” scriptures the church puts out; they are brilliant for cross-referencing and studying. However, I find them quite terrible for reading. If you don’t agree with me it might be because you grew up reading the four thin columns of highly compressed text and are used to it. But to many novices to scripture, especially the LDS editions, it might be a bit of a struggle if you are used to reading novels and other modern books presented in elegant typographic style. 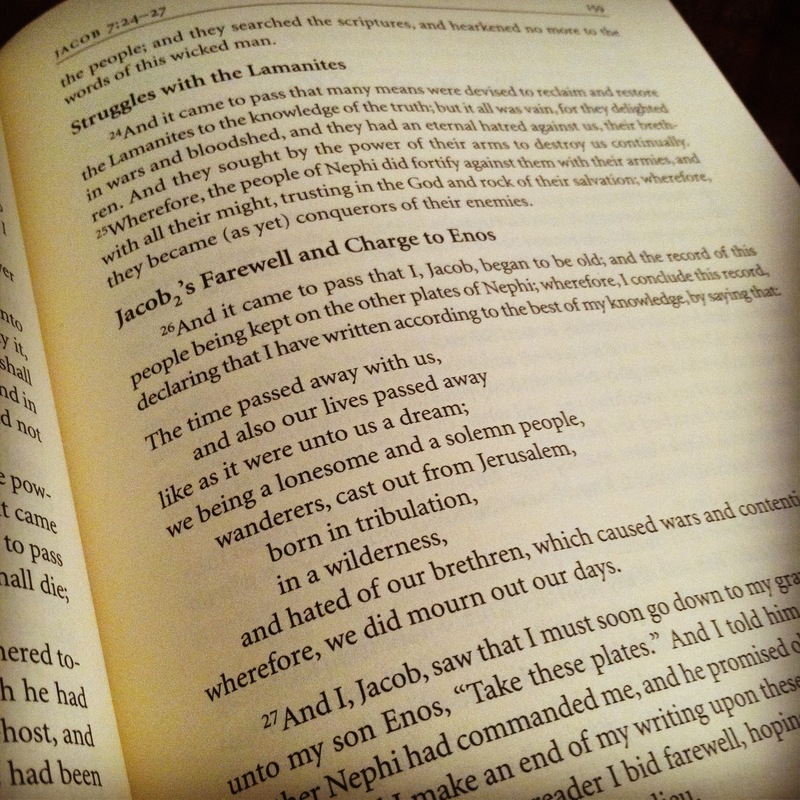 I’m note really a novice to the LDS version of the scriptures, I’m quite used to the highly compressed text in the four neat little columns, but I’ve come to realize that when you are just trying to read the text, the thin columns, chapter divisions and headings and division into verses just don’t help when trying to follow a narrative. I first came across some brilliant versions of the scriptures from Ben Crowder; my two favorites are the “Plates Edition” of the Book of Mormon and the “Words of the Prophets” edition with selected sermons from the Book of Mormon. These editions got me thinking about purchasing a hard-copy of a “readers” edition of some kind for my usual reading and study. I actually find the version of the scriptures on my iPhone much faster for searching and cross-referencing, so I wanted to improve my reading experience. I decided to buy this edition and am not disappointed – I’ll explain why. Grant Hardy’s introduction to this edition is fascinating. He covers the origins of the text, the literary styles used, and the religious significance of the book while touching on concerns of past and present critics as well as a historically accurate description of the translation process and the loss of the 116 pages of the Book of Lehi. I believe that much of this information is extremely valuable to any investigator of the church and really, this edition as a whole speaks well to those completely unfamiliar with the faith and the Book of Mormon in general. Even though they are a bit pricier than the ever-thinning (how much thinner can they get that paper?) blue copies, I’ve decided that I’m going to be buying these to give out to inquiring minds instead. 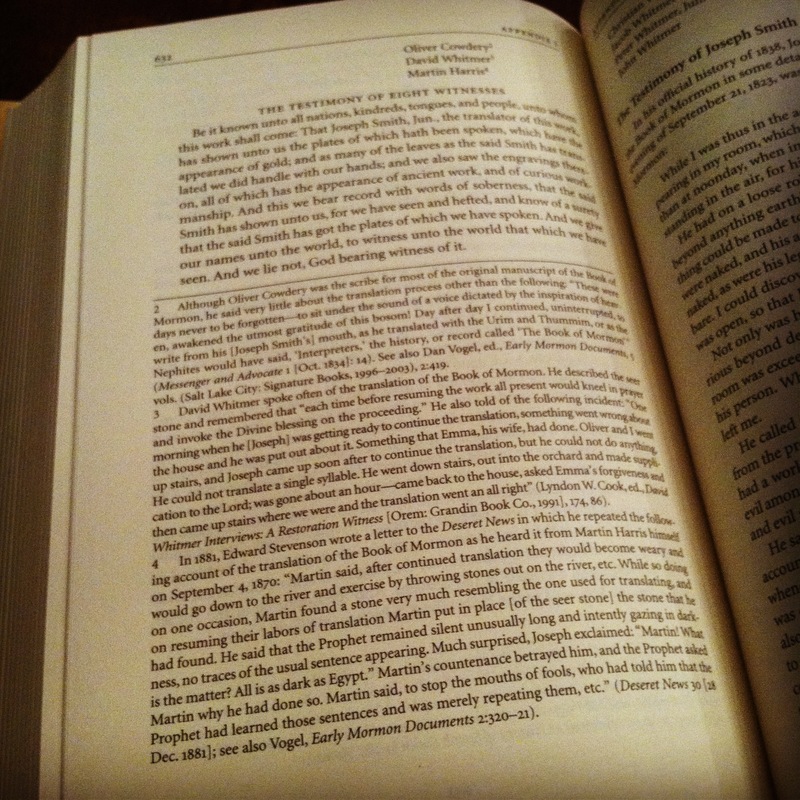 The text is laid out beautifully, the pages are larger and there’s more room to breathe as you read. It is an altogether superior reading experience. 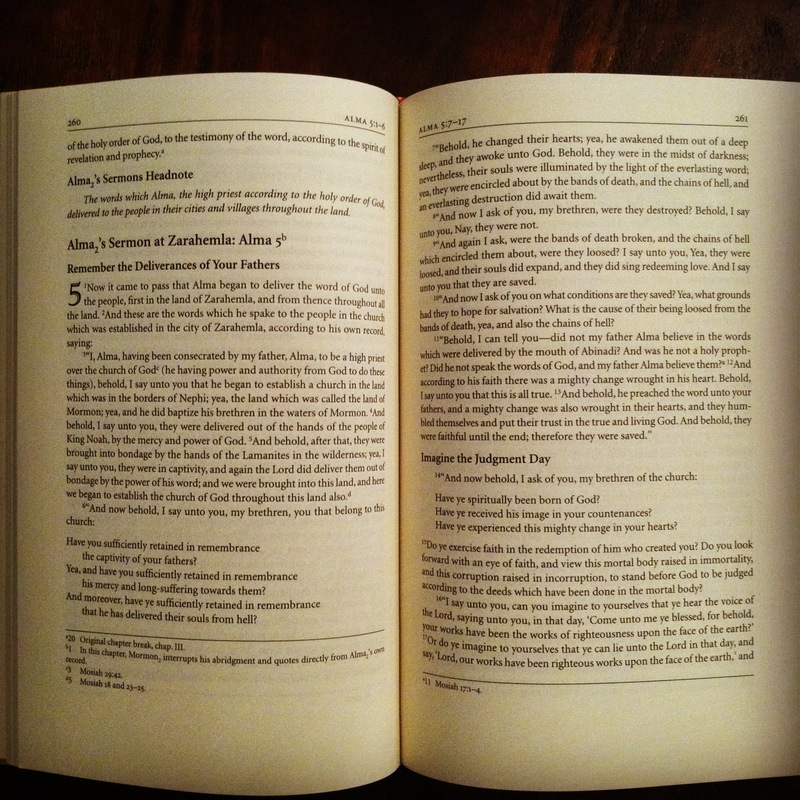 You feel less like you are reading scripture because of the layout, which in a way, gives you a unique perspective on what you are reading. In many ways, it’s like I’m reading the words in a whole new light, like it is my first time encountering them. It is still easy to find your way around. The chapter breaks remain intact but are more subtle and the verse indicators are there too but are indicated by small superscript numbers that stay out of your way. I was really excited to see this new feature, many of the verses have been “set into poetic form with clear line breaks and stanzas, giving particular attention to Hebrew-style parallelisms”. This not only makes the Isaiah chapters easier to read as you can see in the image above, but it helps highlight the many places in the Book of Mormon where these kinds of writing styles were used. 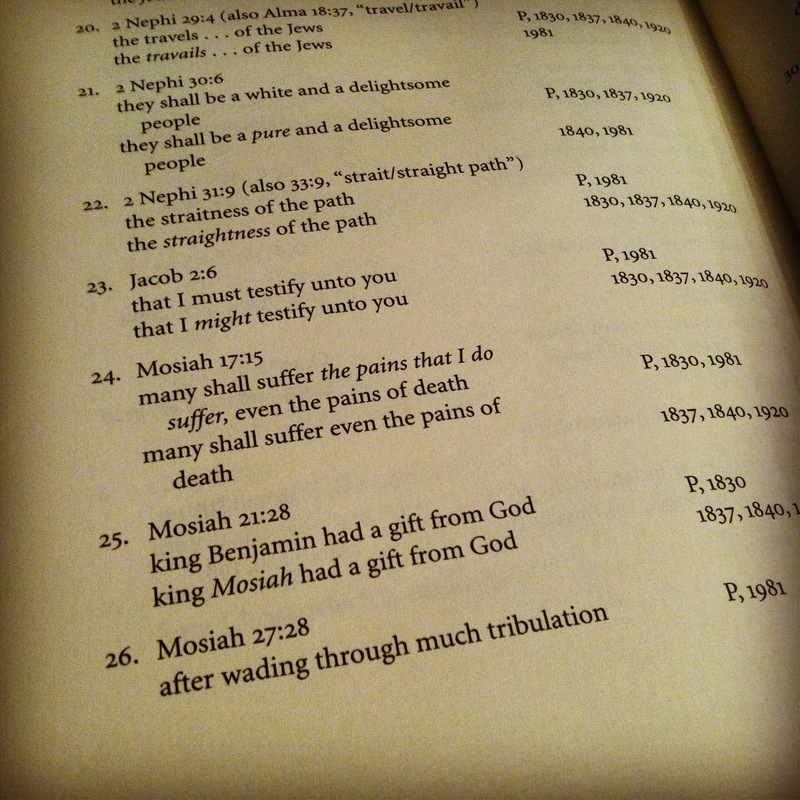 I was particularly touched by the last words of Jacob done in this style (see above). This makes the text very fun and even exciting to read because it alters your experience and introduces you to additional hidden beauty in the text itself. 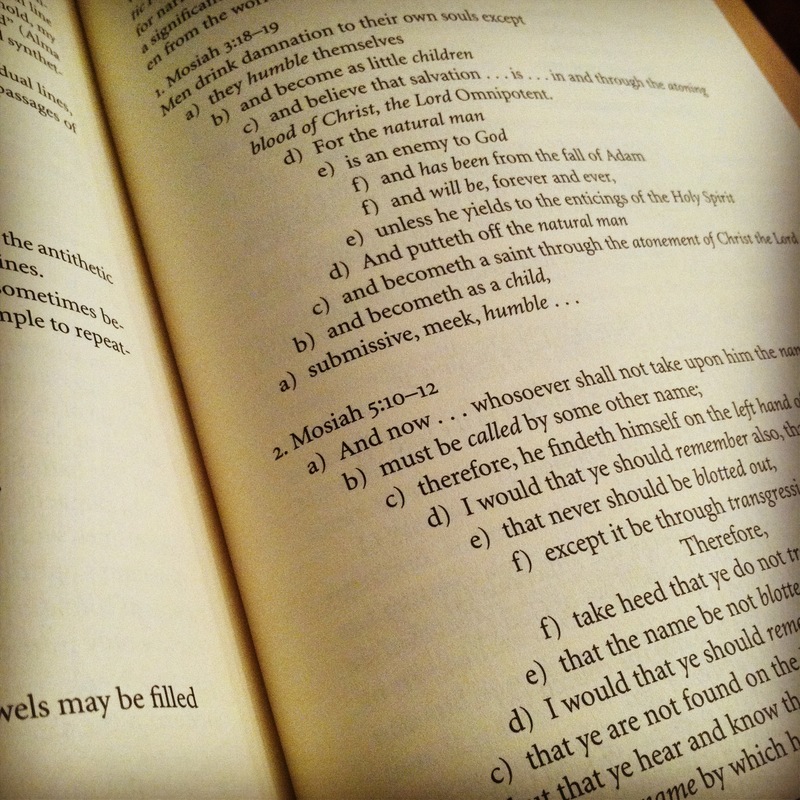 Since the introduction of this edition highlights the ancient literary merits of the Book of Mormon, an entire appendix at the back of the book introduces us to the complex chiasmus scattered throughout the book and notes some significant uses of this ancient technique. It’s no secret that there have been a host of textual changes over the years since the publication of the Book of Mormon. Most, I believe, were made during the second edition by the prophet himself to correct many of the errors made in the first printing. This edition publishes many of the most significant textual changes for the benefit of the reader. 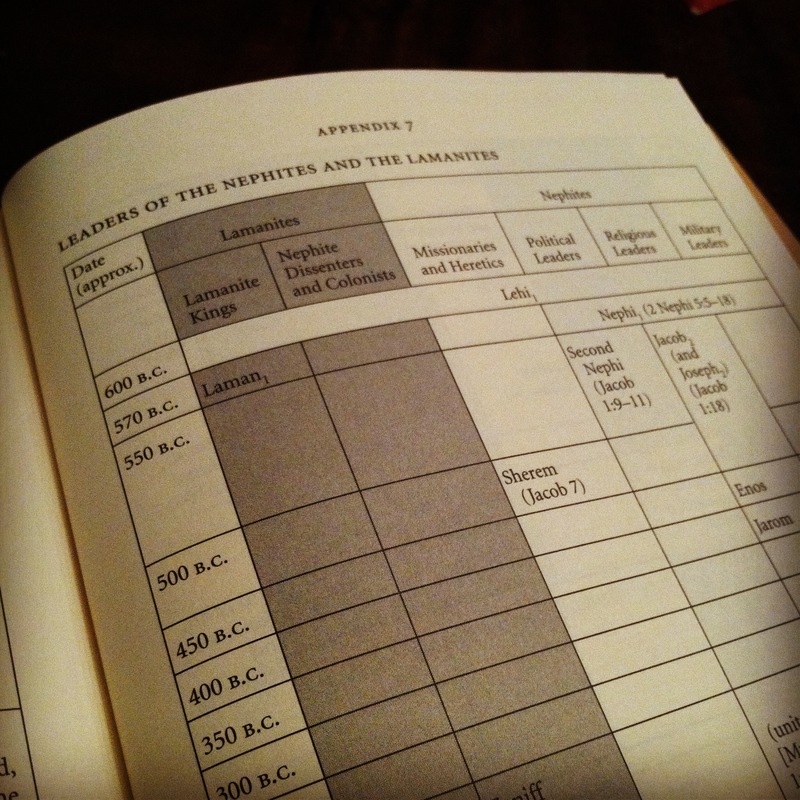 Those familiar with the changes will see that most were done to simply make the meaning clearer or to improve grammar and especially punctuation, since the original manuscript had zero punctuation (the original, being a translation of a hieroglyphic-based characters, did not obviously include periods commas and semi-colons, etc.). 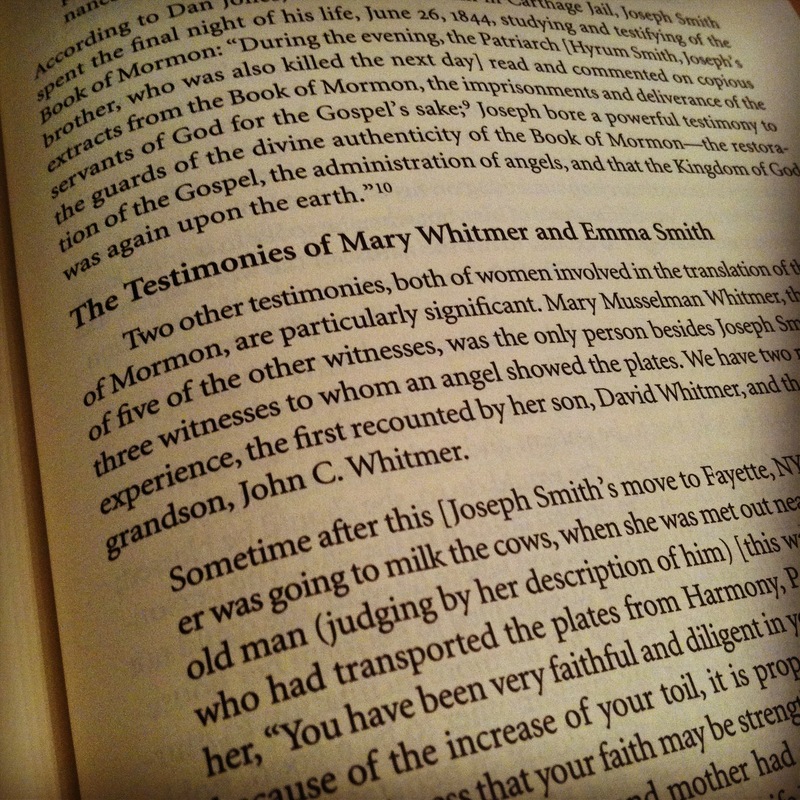 This edition includes the testimonies of 2 additional witnesses to the Book of Mormon, Mary Whitmer and Emma Smith. I was really excited to see these in here because Mary claims to have been the only other person to have had the plates shown to her by an angel. Emma’s account is even more fascinating since she was a scribe and witnessed some very interesting things about the translation process as well as some intimate encounters with the plates where she described feeling their shape under a linen cloth and thumbing her fingers through the pages and hearing the metal plates clink together. Another welcome addition is a bit of extra detail and history about each of the three witnesses under their testimony. Good stuff. 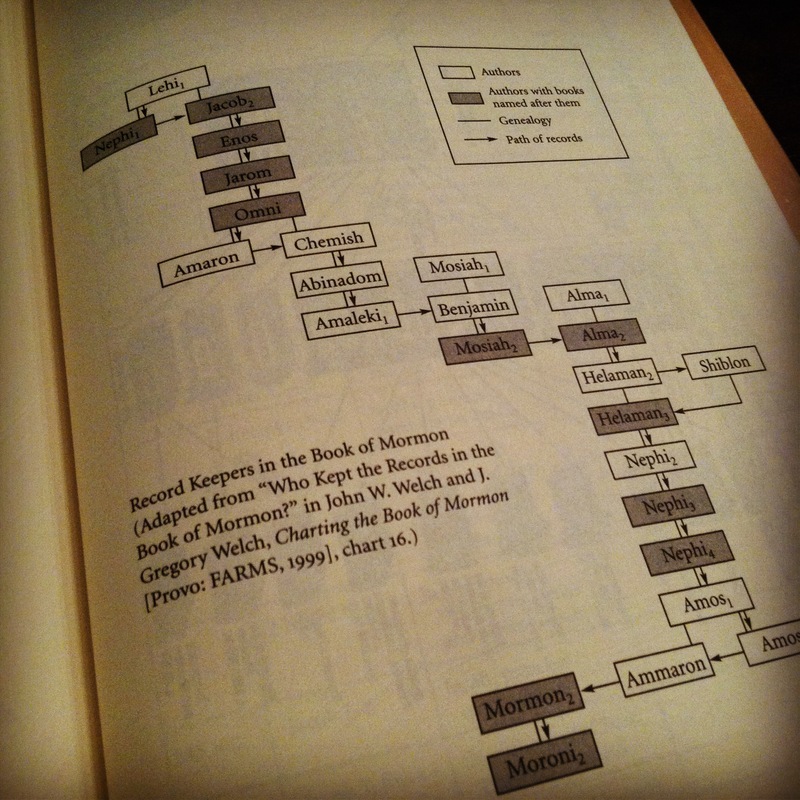 The back of the book is a nice little treasure trove of additional history and information worthy to be included with the Book of Mormon. I found several interesting charts that I’m going to take some time to look more into. 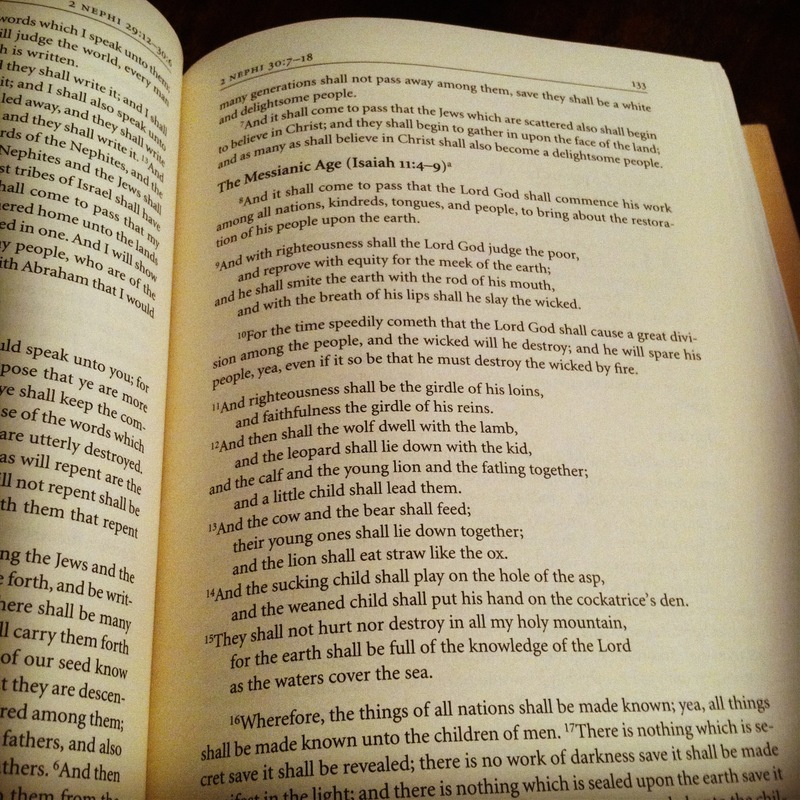 There’s so much more to explore this edition, but I was so excited about it that I restarted my reading of the Book of Mormon over again to experience it all fresh. I’ve been hooked from page one and highly recommend this edition to anyone looking to improve their reading experience with the Book of Mormon or would like a much richer and informative version to hand out to new readers.